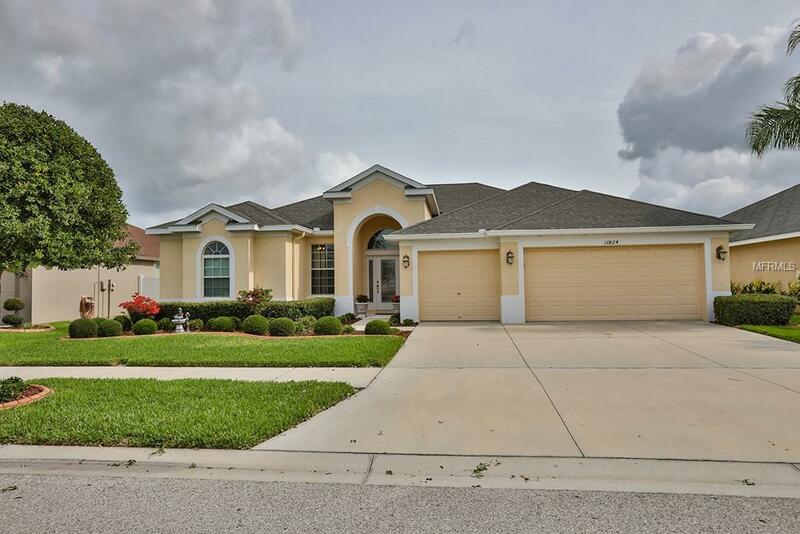 Enjoy the Florida lifestyle and the amenities in popular South Fork community in your beautifully maintained & upgraded home that sets it apart from the others! 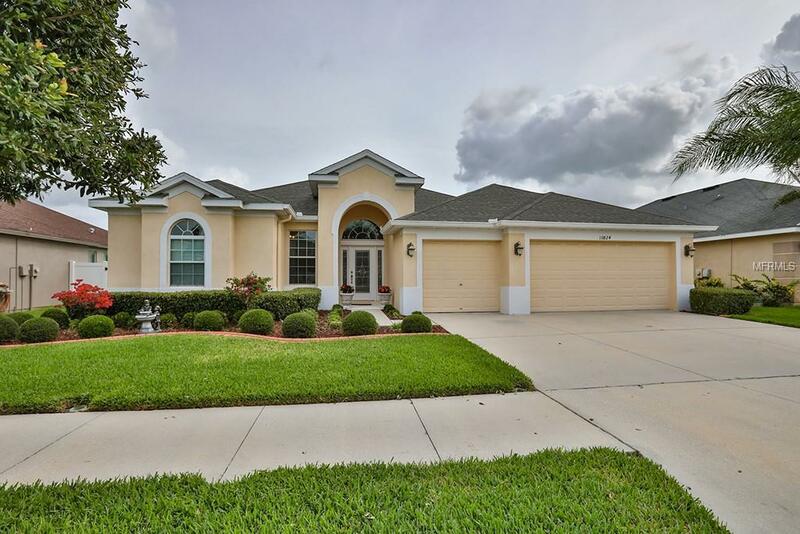 This Taylor Morrison built home features 4 bedrooms, 3 baths, an office/den with French doors, formal living & dining room w/double tray ceiling, art niches, recessed lighting, large family room, 3 sets of sliders out to the lanai, diagonally laid tile, custom paint, a 3-car garage & the home is on a pond with a lovely pond view! As you enter the home thru the leaded glass door w/matching sidelites, you are greeted with an archway adorned with newly installed stacked stone w/decorative accents. 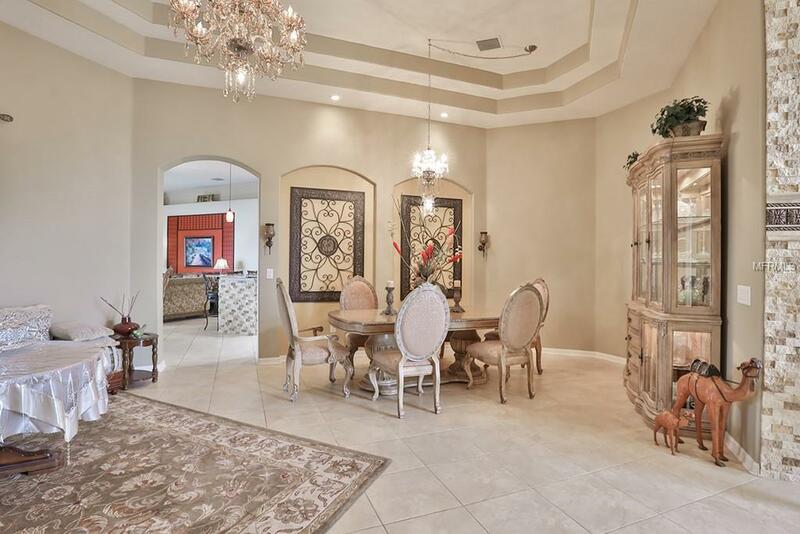 The master bedroom is a great retreat w/coffered ceiling, decorative fan w/lights, his & her closets, Roman shower, large garden tub, raised double vanities w/Corian counters & new floating wood shelves in the WC! The gourmet kitchen includes all Stainless Steel appliances, granite counter tops, new stacked stone on the backsplash & surrounding the breakfast bar. A new movable island with granite counter top adds another plus to the chefs kitchen along w/pendant lights, LED can lights & under counter lighting. Laundry room is close by with washer & dryer, custom cabinets & an enclosed laundry sink. 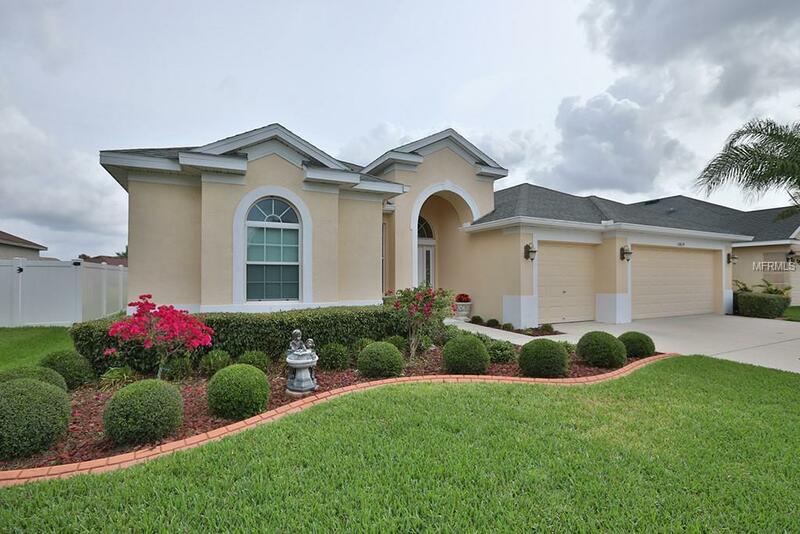 Take a look at the virtual tour and make your appointment to see this amazing home today! Additional Lease Restrictions Contact Hoa To Verify Lease Restrictions. Pet Restrictions Contact Hoa To Verify Pet Restrictions.